Working groups are composed of technical experts mostly from W3C member organisations and work on producing the specifications that we all know and love. They have official responsibility for and authority over their particular spec. The better known WGs include the Web Platform WG and the CSS WG. Typically people taking part in these groups do standards stuff full-time, and are incredibly good at what they do. 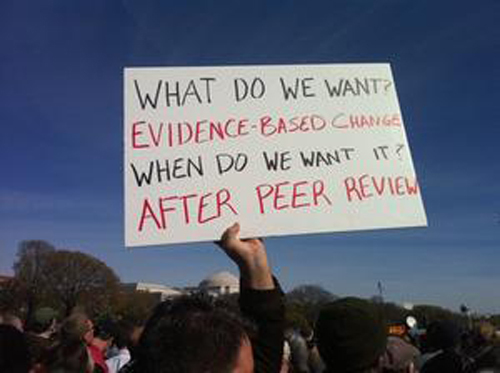 Interest groups have a similarly formal structure to a working group but typically do not have a responsibility to deliver a specification, and (also unlike WGs) they are open to members of the public. Community groups have the least governance overhead, and are the most informal, allowing developers, designers, and anyone passionate about the Web to create a group and discuss anything of relevance. These have become more popular recently as developers have become increasingly engaged with the standards world. For example, the responsive images community group and the web incubator community group have recently done some impressive work. Finally, the Technical Architecture Group is a small group that oversees the work of all the Working Groups, helping guide the overall vision and architecture of all the things that the working groups produce. Part of the TAG’s purpose is to try to take a longer-term view and deliver a more consistent Web that makes sense when taken as a whole. If you’re a web developer and you didn’t know any of this, you’re not alone. In fact you’d be forgiven for being none the wiser even after reading all of the above. In eighteen years of working with web technologies I’ve found that whenever I’ve bumped into the standards process, I’ve either come away bewildered or terrified. Developers are the customers of web standards. And by developers I don’t mean people who once wrote code but now mostly write emails to mailing lists. Developers to me are the people who have deadlines and sprint reviews and kanban boards, and make software that supports the rest of the world: news, retail, banking and professional services, venues, events, local and national government services, sports clubs and so on. It makes sense that complex standards have dedicated super-clever individuals working on them full time. But it also makes sense that the work on those standards is overseen by their customers – the developers of the world. Currently (well, until I joined), the ten members of the TAG comprised four members who are consultants, W3C staff or academia, leaving six members who are employees of Microsoft, Google, Akamai, Yahoo, HP and Mozilla. That’s… well that’s the technology industry well covered, for sure. If you work for a company that builds a platform ecosystem or a browser, you’re pretty well represented here. The problem is the rest of us are not, and as important as the browsers and the platforms are, they exist to connect us with the things we love and those tend to include a lot of things that aren’t platforms and browsers but are equally dependent on the Web. Developers typically don’t have a lot of time to read the 20,000 previous posts on mailing lists that would give them sufficient context to understand the current discussion, and the vast majority of the now epicly huge number of web developers in the world are relatively junior. It’s no longer necessary to be able to write a compiler, do bitwise maths in your head or even be able to write code without using a framework, to be a commercially successful developer in the modern world. This vast army of developers is nevertheless enthusiastic about sharing, and we should find better ways to engage them to ensure we’re creating the right building blocks to fuel their creativity, and their business. This means building on recent innovations: events such as Meet the TAG, the Extensible Web Summit; channels such as Slack groups; and tools that developers are familiar with, such as GitHub. 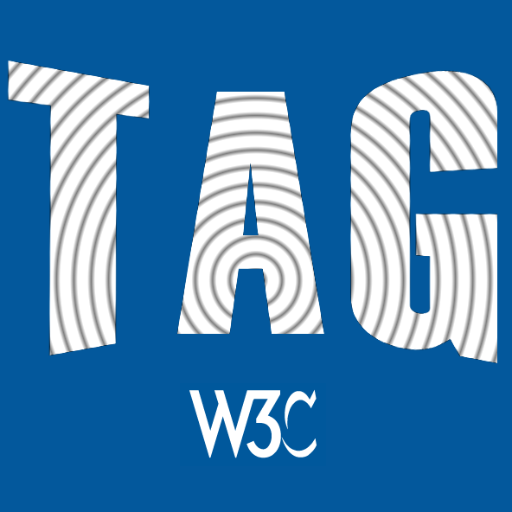 A lot of this has been recognised and is already happening, and electing a representative of a non-tech, non-academic body to the TAG is surely a positive sign of the membership’s commitment to the W3C becoming a broader church that recognises the weight of responsibility it carries. My personal focus is on this collaboration and consultation element of the TAG’s purpose, but I also have specific interests in installable and discoverable web apps, paid and premium content (which is not DRM! ), web payments, and exposing native-equivalent APIs such as Bluetooth, notifications and geofencing to the web platform. Thank you to everyone who supported me, especially Brian Kardell for his efforts to promote my candidacy, and Adrian Bateman and Michael Champion at Microsoft for nominating me. Thanks also to Brian, Sarah and Alice for feedback on this post!